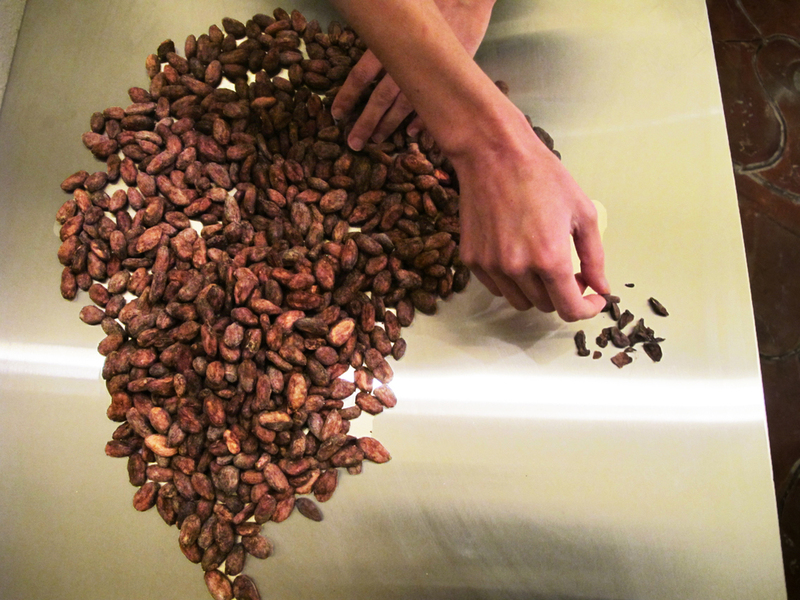 To learn about cacao's journey from tropical fruit to artisan chocolate bar, click on any of the images below to bring up the lightbox, then hover over the image for a description of every step along the way. Reed, Stacy. "Sensory analysis of chocolate liquor." Manufacturing Confectioner 90 (2010): 43-52. Beckett, Stephen T., ed. Industrial Chocolate Manufacture and Use. John Wiley & Sons, 2009. Beckett, Stephen T. The Science of Chocolate. Royal Society of Chemistry, 2008. Presilla, Maricel E. The New Taste of Chocolate: a Cultural and Natural History of Cacao with Recipes. Random House LLC, 2009.